I call these Dawson cookies, because they were an ever-present delight in the home of my childhood friend Joy Dawson and I’ve been addicted ever since. Trust me, these will be the most delicious chocolate chip creations to pass your lips. And they’re painfully simple to make. For some reason, these just don’t turn out if you use a mix other than Duncan Hines. (I swear, I don’t work for them). And sometimes I only use half of the bag of mini morsels, it all depends on how…chippy?…you want them to be. 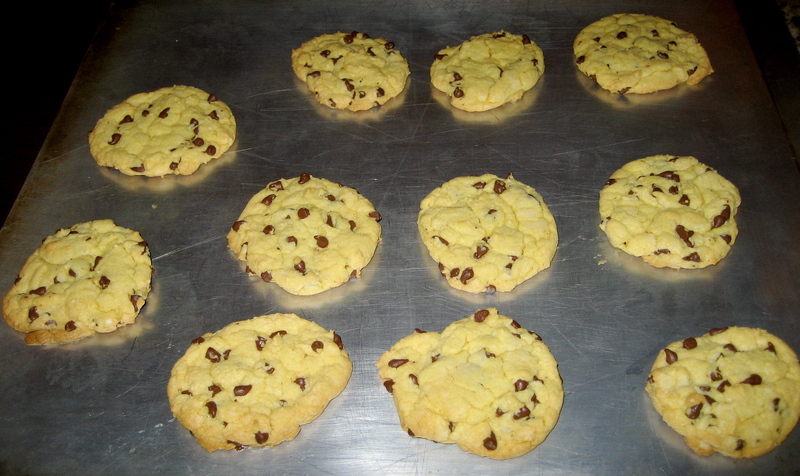 Mix all of the ingredients, and heat your cookie sheets in the oven for about 5 minutes before scooping out cookies. Bake them for ten minutes at 350 degrees. i can attest to the fact that these are delicious. and it’s fair to say that although Duncan Hines is no longer my PR client, i’ll never go to Betty….